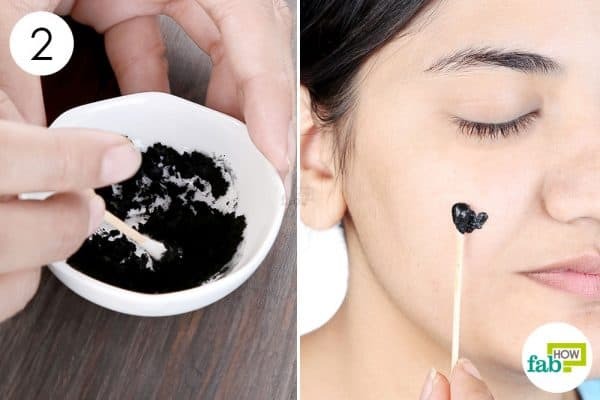 You may have heard of the beauty benefits of activated charcoal; nowadays, the markets are flooded with skin care products such as face wash and cleanser that contain this highly adsorbent ingredient. However, activated charcoal has been used since the 19th century to treat cases of poisoning and drug overdose in humans. Its excellent adsorption properties were first discovered in the 18th century. It is prepared by defragmenting charcoal into granular forms; the grains are then further treated with steam, oxygen, carbon dioxide, certain acids, and other chemicals, which remove all impurities and drastically increase its surface area and porosity. Activated charcoal is particularly effective at treating cases of a drug overdose and poisoning as its porous surface adsorbs the harmful poison and toxins. 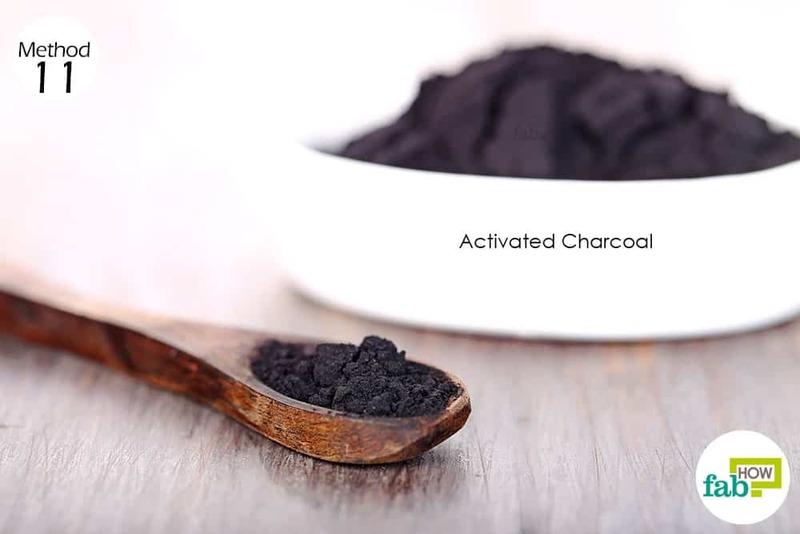 What activated charcoal does is adsorption, which is different from absorption; its highly porous surface binds the toxins to itself and prevents them from being absorbed. It further aids in their elimination via the excretory system. 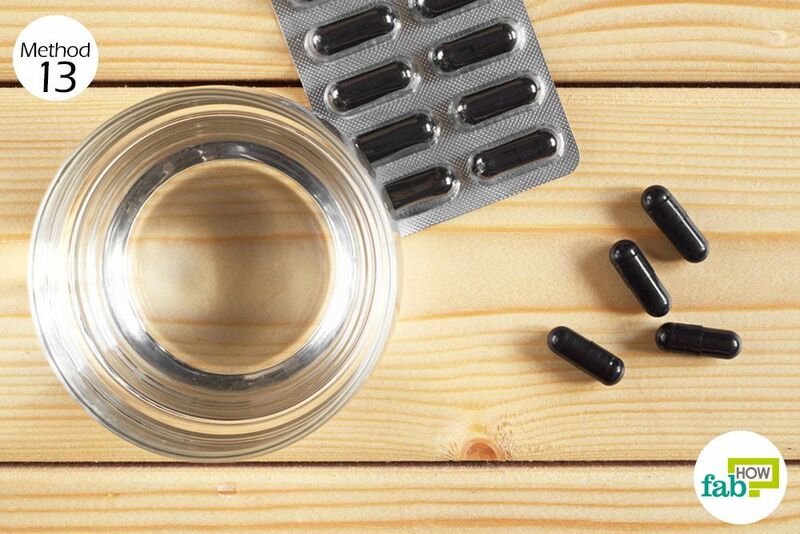 You can consume activated charcoal in its powder, capsule or tablet form. 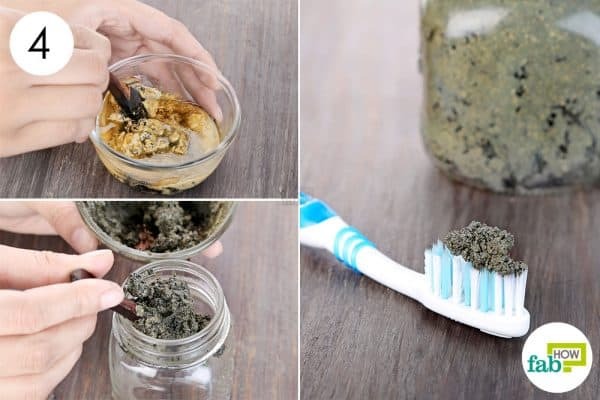 So, continue reading to discover 14 uses of activated charcoal for teeth whitening, bloating, and more. Acid reflux refers to a situation in which the acid formed in the stomach travels back up into your esophagus. This can also lead to heartburn, which is typically characterized by pain or a burning sensation in the chest, often accompanied by other symptoms such as gas and abdominal bloating. Activated charcoal provides relief in gas, (2) helps you treat acid reflux as it neutralizes and adsorbs the acids in your stomach. It has a porous surface that easily adsorbs and traps the excess gas in your body to provide relief from gas and bloating. 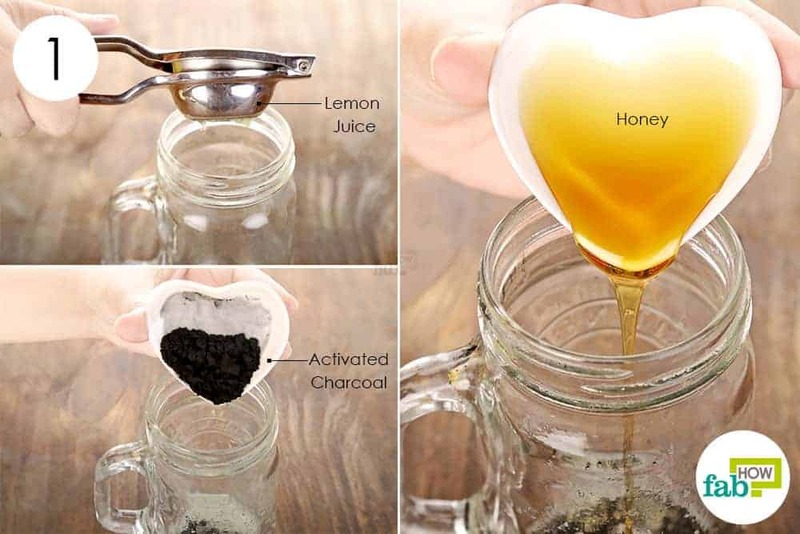 Pour 1 teaspoon of activated charcoal powder in a glass of water, mix them, and drink to get rid of acid reflux. Alternatively, you can take one standard capsule or tablet with a glass of water. If you suffer from either acid reflux or gas and bloating on a regular basis, you can also take some activated charcoal as a preventive measure before meals. The daily recommended dosage for adults is between 500 to 1000 mg (2 to 4 capsules). Always consume activated charcoal on an empty stomach to prevent it from absorbing nutrients in your food. Activated charcoal helps improve the functioning of the digestive tract, as it removes harmful pathogens and toxins from the gastrointestinal tract, thereby enabling smooth and proper functioning of the digestive system. 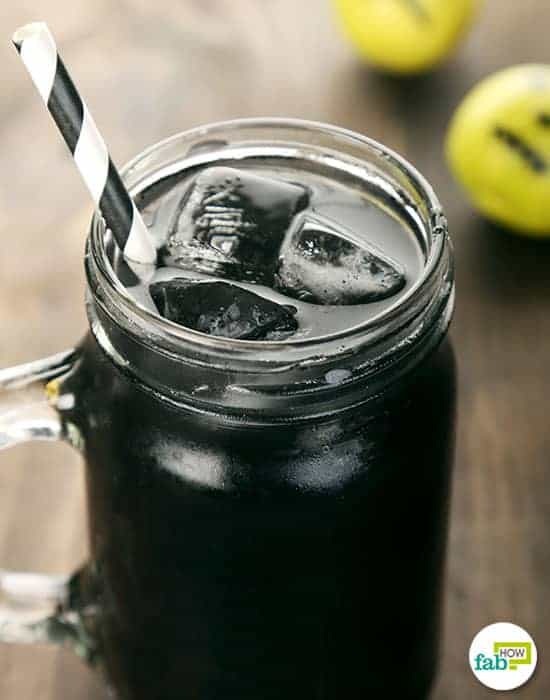 You can prepare and drink this DIY activated charcoal lemonade to drastically improve your digestion, making this one of the best uses of activated charcoal for health. 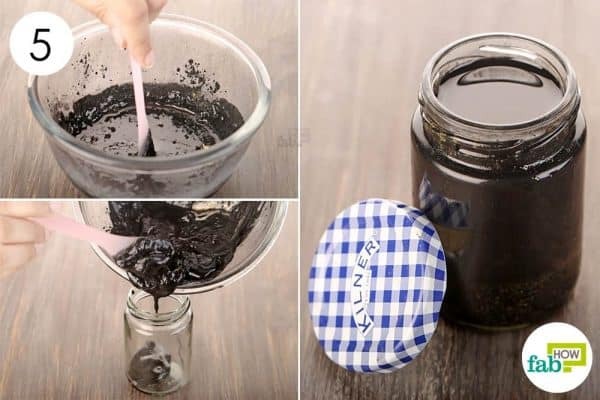 Take about ½ a teaspoon of activated charcoal powder in a jar. Add the freshly squeezed juice of 1 lemon. 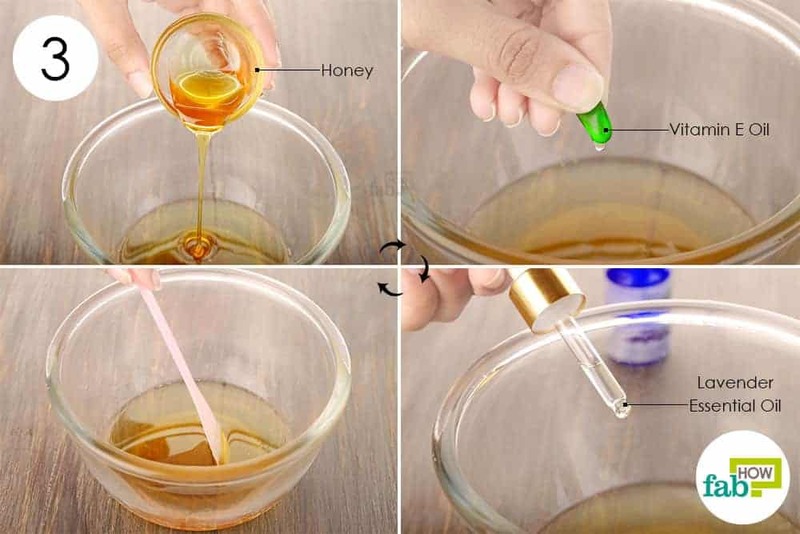 Add 1 teaspoon of honey as well. Pour approximately 1 glass of chilled water into the jar. 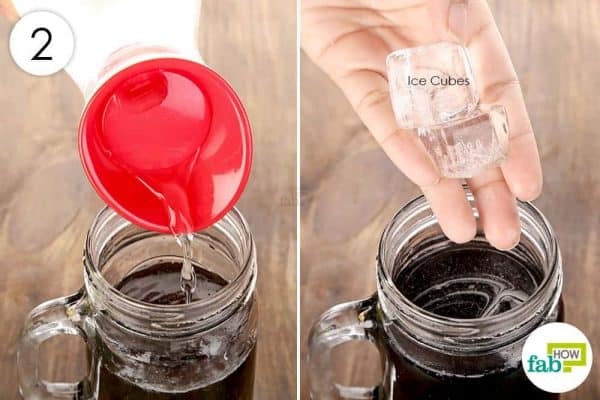 Add as many ice cubes as you desire. You can drink this lemonade whenever you are suffering from indigestion. 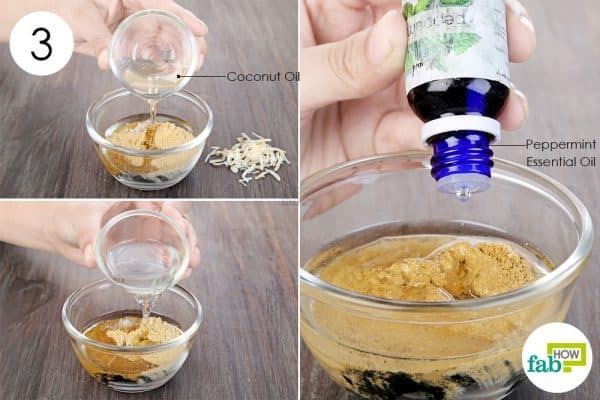 Alternatively, you can drink it 2 to 3 times a week to keep your digestive system in good order, especially if you suffer from gastric problems like indigestion, gas, and bloating on a regular basis. The strong adsorption properties of activated charcoal can also be used to draw out the venom from a spider bite. 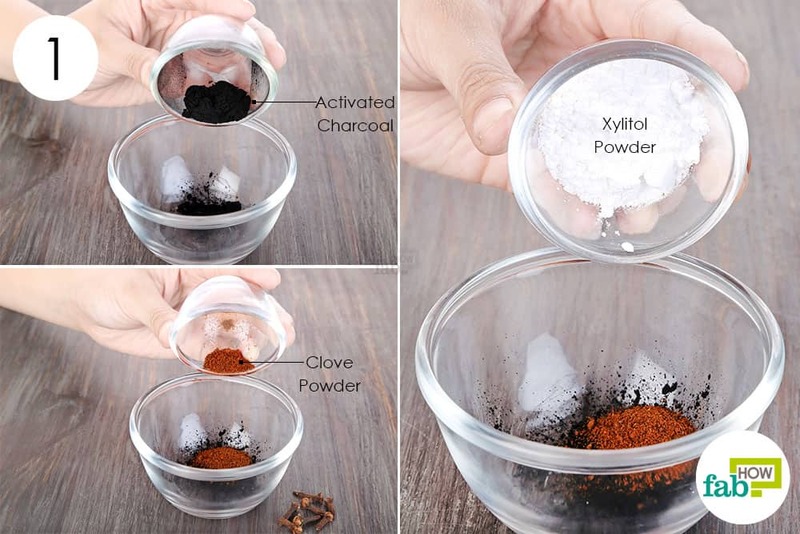 This adsorbent black powder is highly effective for treating spider bites as it neutralizes the venom, speeds up the healing process, and removes the toxins released by the spider. Use it immediately after getting bitten to draw out the poison from the wound. Note: This remedy is for first-aid; you will need to get the spider bite examined by a medical professional. Once, you have been declared out of danger you can use activated charcoal to speed up the healing process. Mix around 1 teaspoon of activated charcoal powder with just enough water to make a thick, smooth paste. Apply it to the spider bite. Cover it up with some medical tape; leave it on for 4 hours before washing it off. Do this several times a day for at least 2 days to completely treat and cure your spider bite. Meanwhile, get your wound medically examined to rule out the possibility of serious poisoning. A bee sting can be particularly painful and, in some cases, even fatal for those who may be allergic to it. While the sting is quite painful by itself, the process of extracting the stinger makes it even more excruciating. Once the stinger is out, you can still suffer from pain and severe allergic reaction if the toxins that came with the sting are not removed from the wound. 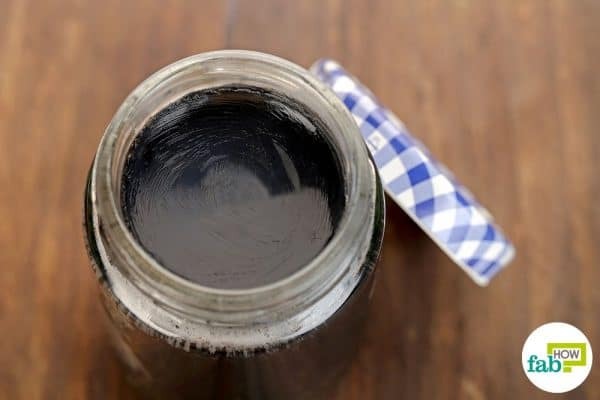 You can use this DIY black drawing salve made with activated charcoal to treat a bee sting quickly and properly. You can learn how to make your own DIY drawing salve as shown in Method 12. Apply the salve to the stung area using clean fingers. Cover with a bandage to prevent it from being accidentally wiped off. Leave it on for at least 6 to 8 hours or overnight for best results. 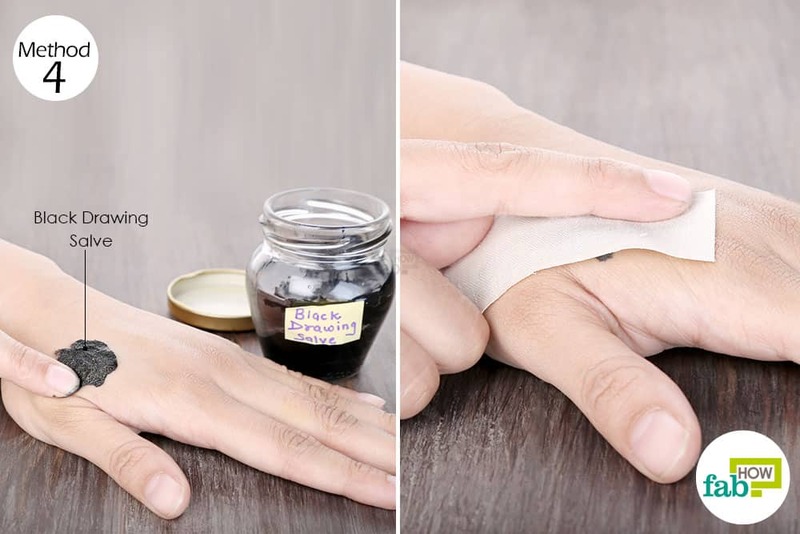 Apply this salve for 1 to 2 days to successfully heal the stung area. Note: Always drink activated charcoal powder 2 hours before taking any medication for food poisoning, as it can absorb the medicines, rendering it ineffective. 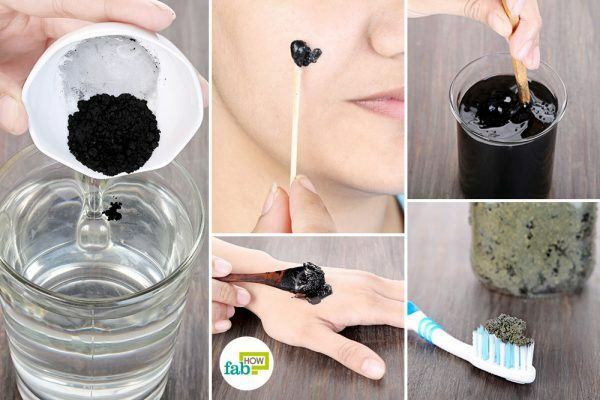 Add 1 teaspoon of activated charcoal powder to a glass of water. Mix well and drink to alleviate the symptoms of food poisoning such as diarrhea and abdominal cramps. Drink plenty of water afterward to flush out your system; take one to two doses in a day to manage the worst of your food poisoning. Another added disadvantage of using activated charcoal is that it also helps tighten pores and, in combination with witch hazel and tea tree oil, makes a highly effective face mask for acne, making this another one of the best uses of activated charcoal for health and beauty. 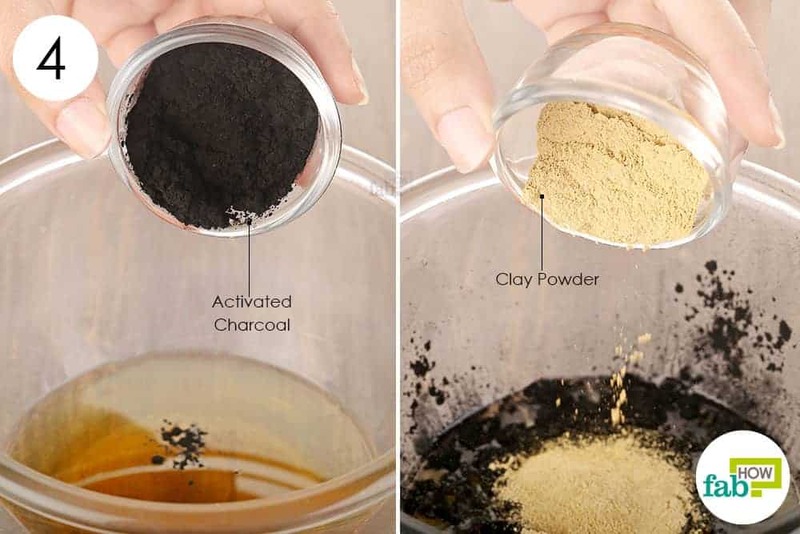 Take 1 teaspoon of activated charcoal powder in a container. Add 3 to 4 drops of tea tree essential oil to it. 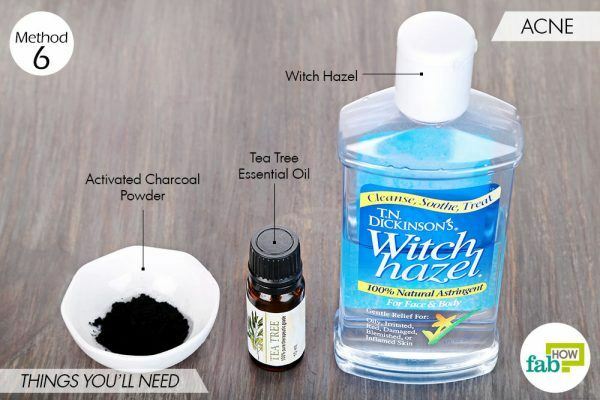 Add 1 teaspoon of witch hazel extract as well. 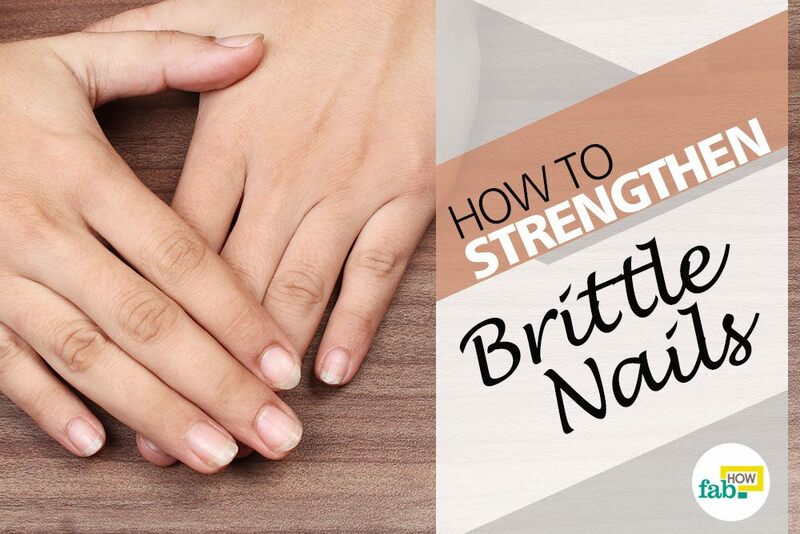 Mix well with a cotton swab to get a uniform blend. Using the same swab, apply the mask over the acne-affected areas. Leave it on for 15 to 20 minutes or till the mask dries completely. Apply this mask every alternate day to treat persistent acne; afterward, apply it 1 to 2 times a week to keep acne at bay. Strong body odor can be both socially humiliating and debilitating as your friends steer clear of you and your strong scent. While body odor often occurs because of excessive sweating, it is also fortified by the presence of toxins in your system. 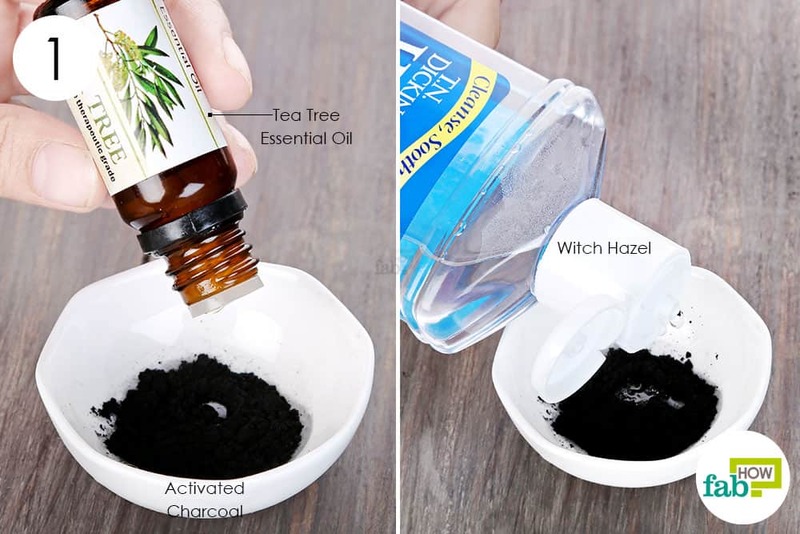 Most remedies for strong body odor prescribe topical application; however, you can take activated charcoal internally to detoxify your body and get rid of strong or foul body odor in the process. Mix ¼ teaspoon of activated charcoal powder in a glass of water and drink daily on an empty stomach to eliminate foul body odor. 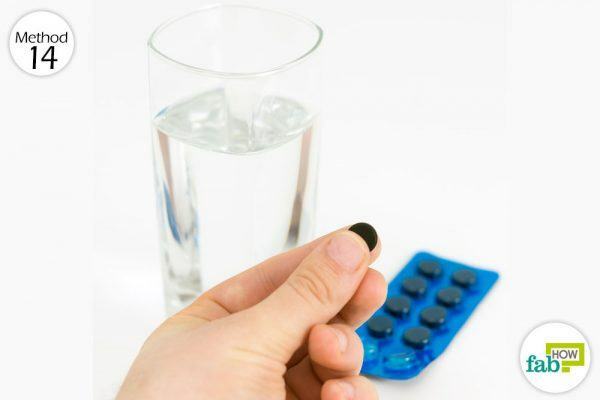 If you do not like to drink activated charcoal powder because of its grittiness, you can take a standard 260 mg capsule or tablet instead. Just make sure that you wash it down with a glass of water to prevent constipation. Drink activated charcoal 2 to 3 times a week to banish strong body odor. 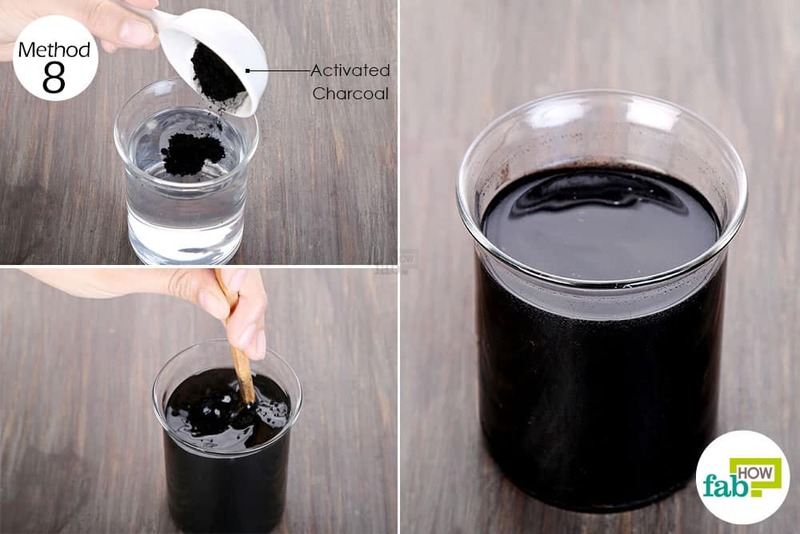 Mix 1 teaspoon of activated charcoal powder in a glass of water to get relief from diarrhea. If you prefer to take capsules, wash down 4 activated charcoal capsules with water. Do this once a day till your stomach returns to normal. For more severe cases of diarrhea, take activated charcoal every 3 to 4 hours for relief. Add ½ teaspoon of activated charcoal powder to a mixing bowl. Add ¼ teaspoon of ground organic cloves. 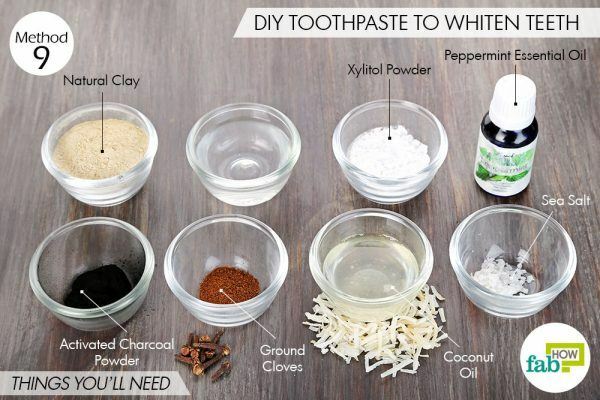 Add 2 teaspoons of Xylitol powder as well. 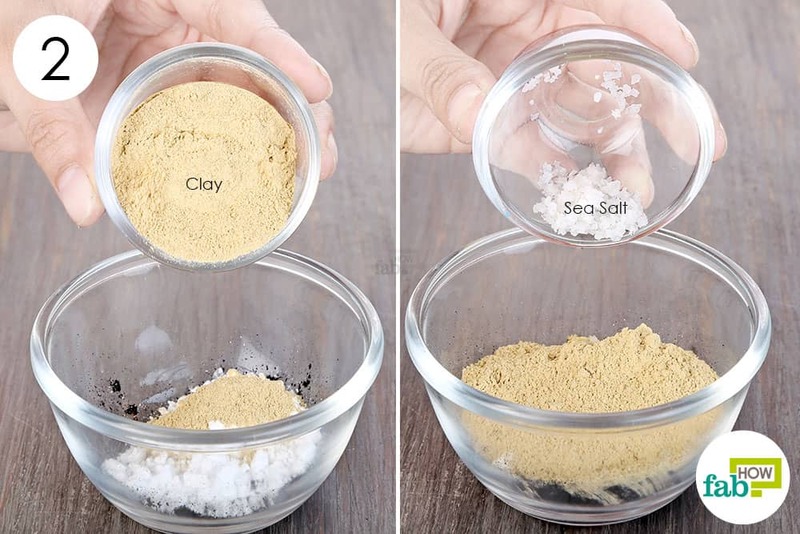 Pour 2 tablespoons of natural clay powder into the bowl. Add ¼ teaspoon of sea salt as well. 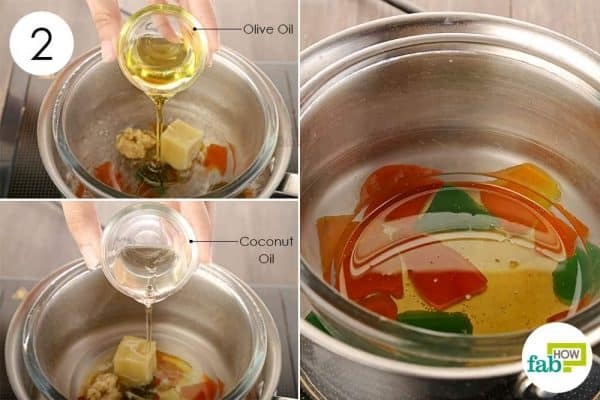 Pour 1 tablespoon of melted coconut oil into the mixture. Add 2 tablespoons of filtered water. Finally, add 10 drops of peppermint essential oil as well. Mix well with a spoon to get a uniform mixture. Transfer the mixture to an air-tight glass jar. Use a toothbrush to dab the prepared paste on your tooth; lightly brush your teeth for 1 minute, but do not scrub too hard, as doing so can be harsh on the enamel. Leave the paste on for 3 minutes, and then rinse your mouth with water. Do this once daily to whiten your teeth and freshen your breath. Prolonged use of charcoal for teeth whitening is not recommended as further studies need to be done to determine its long term effect on the teeth. Activated charcoal also comes to the rescue if you are suffering from kidney pain or any other kidney problems as it adsorbs and helps to reduce nitrogen-containing waste-products from the body. You can also combine it with a low-protein diet to manage advanced kidney disease. 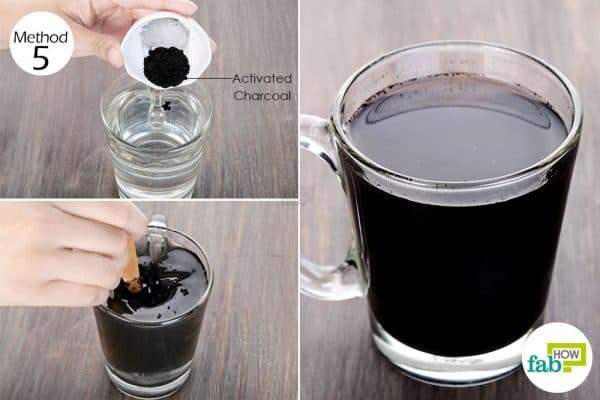 Note: Activated charcoal can also adsorb any medication that you are taking to treat your disease; so consult your doctor before starting with this treatment, and as a precautionary measure, drink it at least 2 hours before you have to take your medicines. 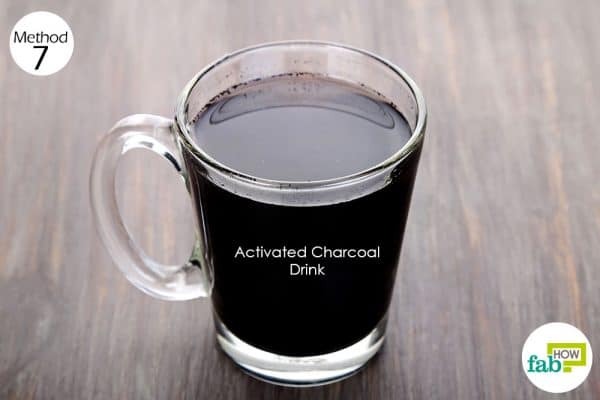 Mix 1 teaspoon of activated charcoal powder in a glass of water, and drink twice daily to detoxify your body. Repeat daily for at least 2 weeks or till the pain goes away. Irritable bowel syndrome or IBS is a chronic condition affecting the gastrointestinal system of the body, caused by problems in the digestive system or susceptibility to certain foods such as milk, chocolate, fizzy drinks and alcohol, and spicy processed food. IBS flare-ups are characterized by accompanying symptoms such as diarrhea or constipation, bloating, abdominal pain or cramps, and flatus incontinence. (3) Fortunately, activated charcoal is more than up to the task of managing these conditions as mentioned above. Mix 1 teaspoon of activated charcoal powder in a glass of water and drink twice daily to treat and prevent IBS flare-ups. The daily recommended limit for patients with IBS is 20 grams per day; take care not to exceed this limit, whether you go for activated charcoal powder, capsules, or chewable tablets. The excellent adsorbent properties of activated charcoal can also be used to draw out and heal skin infections. 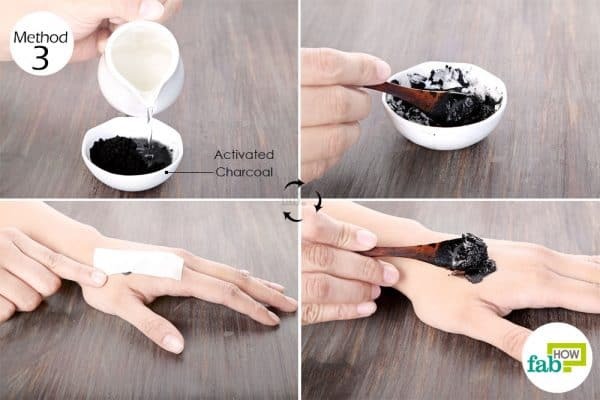 You can follow the instructions given below to make your own activated charcoal-based DIY drawing salve for boils, abscesses, and other skin infections. Setup a double boiler; keep it on low heat. 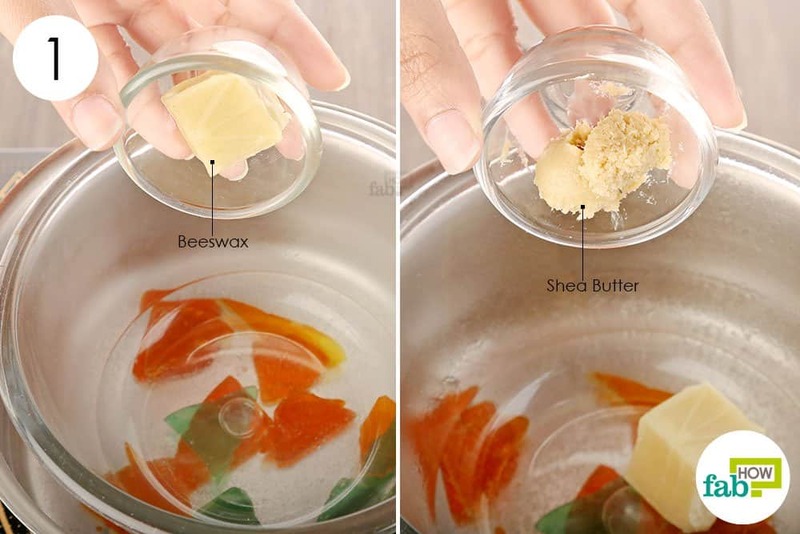 Pour 1 tablespoon of beeswax into the glass bowl. Add 2 teaspoons of shea butter as well. Add 1 tablespoon of coconut oil too. Blend all the ingredients on low heat. Once it’s done, turn off the heat and use an oven mitt to remove the glass bowl from the pan. Let the bowl cool down a little. Then, add ½ tablespoon of honey. Pierce and empty 1 vitamin E capsule into the bowl. Mix well to get a uniform blend. 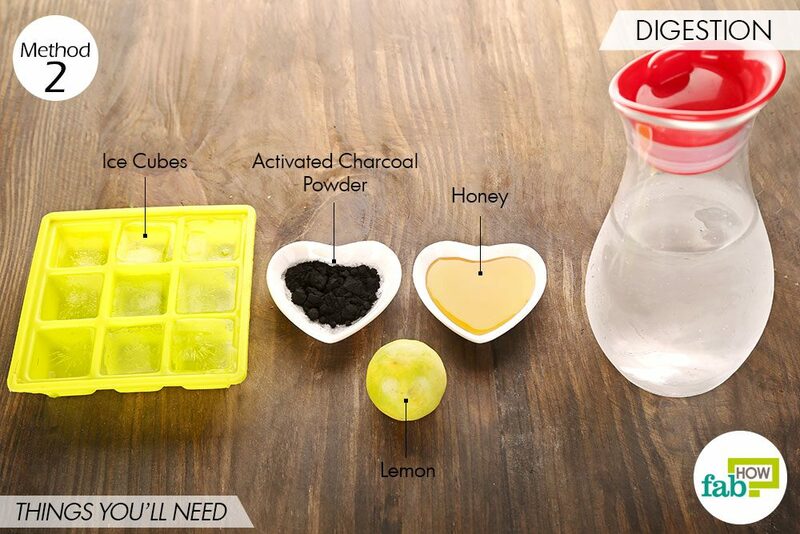 Add 1 tablespoon of activated charcoal powder to the liquid blend. Add 2 tablespoons of natural clay as well. Mix thoroughly to get a smooth mixture. Transfer it to an airtight jar and let it solidify. Apply this salve to the infected skin and keep it on for 7 to 8 hours or overnight. In case of a severe infection, apply this salve 2 to 3 times a day to draw out the root cause. Apply this salve daily till the infection goes away and the skin starts to heal. You can store this salve for around 1 to 2 months and use it as and when required to treat skin infections or drain the pus out of skin abscesses or boils. You can also consume activated charcoal to get rid of your hangover as it removes toxins from your stomach and also helps reduce your blood alcohol levels. Take 4 activated charcoal capsules after you’re finished drinking to avoid a god-awful hangover the next day. As mentioned above, activated charcoal helps remove harmful toxins from your body; you can, therefore, use it to help your body detoxify. Take 1 tablet with a glass of water at least 2 hours before eating to detoxify your body. You can also take an activated charcoal capsule after eating unhealthy junk food to detoxify your body. Or, take it whenever you overeat to deal with associated problems such as gas and indigestion. Take 1 activated charcoal capsule every day for 1 week to properly detoxify your body. You can also use activated charcoal to make a DIY face mask to get rid of blackheads and pores. Or, simply place a small bowl of activated charcoal powder to eliminate odor from your refrigerator. 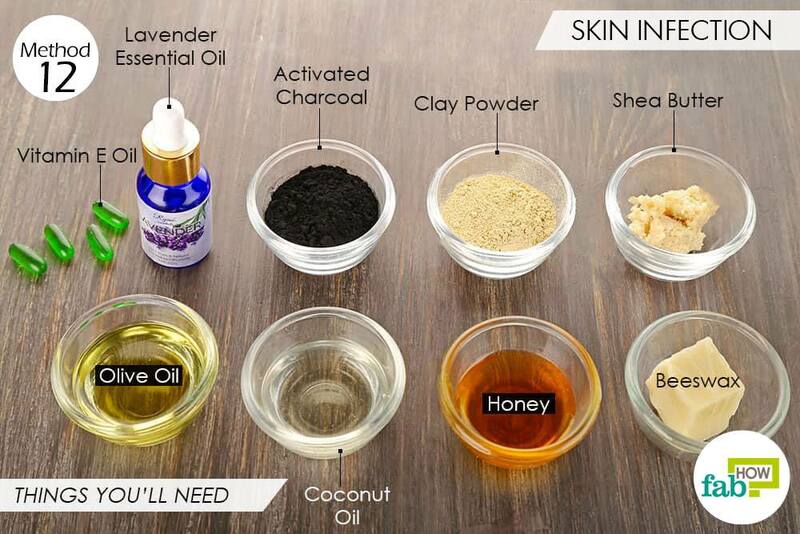 Additionally, you can also use activated charcoal to make a DIY face cleanser for oily skin. Brooks JK, Bashirelahi N, Reynolds MA. Charcoal and charcoal-based dentifrices: A literature review. The Journal of the American Dental Association. https://www.sciencedirect.com/science/article/abs/pii/S0002817717304129. Published June 7, 2017. Maconi G, Bolzacchini E, Radice E, Marzocch Mi, Badini M. Alpha-galactosidase versus active charcoal for improving ... Journal of Ultrasound. https://www.ncbi.nlm.nih.gov/pmc/articles/PMC3565684/. Published December 15, 2012. Melchior C, Gourcerol G, Bridoux V, Ducrotté P, Jean-François Quinton A-ML. Efficacy of antibiotherapy for treating flatus incontinence associated with small intestinal bacterial overgrowth: A pilot randomized trial. PLOS ONE. https://journals.plos.org/plosone/article?id=10.1371/journal.pone.0180835. Published August 1, 2017. Mendhekar SY, Thorat PB, Bodke NN, S. L J, D. D. G. European Journal Of Pharmaceutical and Medical Research. https://www.ejpmr.com/home/abstract_id/3261. Published 2017. Senderovich H, Vierhout MJ. Is there a role for charcoal in palliative diarrhea management? Taylor and Francis Online. https://www.tandfonline.com/doi/full/10.1080/03007995.2017.1416345. Published January 10, 2018. Silberman J. Activated Charcoal. https://www.ncbi.nlm.nih.gov/books/NBK482294/. Published November 22, 2018. I’d prefer the lemonade as tea though. Without ice, no chilled, but warm to hot water. ☕? Glad you liked our post. And thank you so much for sharing your variation of lemonade. When a person ingests a toxic substance, charcoal can adsorb up to 60 percent of the substance from the stomach and intestines. Because charcoal can’t be digested, it holds the substance, preventing it from being absorbed into the stomach until it can be expelled in the patient’s waste. This method is so effective that, in 1831, a French professor demonstrated it by drinking a lethal dose of strychnine mixed with activated charcoal and surviving!